Boat Description Everyday`s a holiday, when you`re on a 220 Select. Whether you`re into water-skiing, wake-boarding, or prefer just to lounge in the sun, this Select`s new Clarion AM/FM/CD stereo - with in-dash tweeters - will entertain you in style. 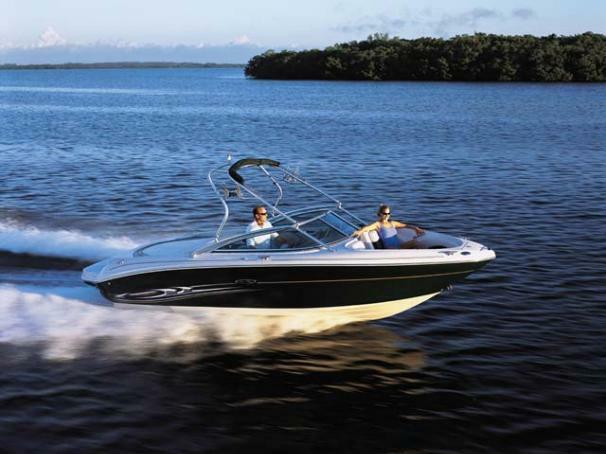 Just turn the ignition on this mighty, 5.0L MPI 260 hp Alpha I MerCruiser stern drive engine, and let the fun begin.